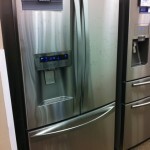 I Just Want My Freakin’ Ice! 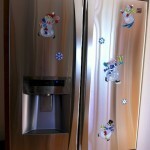 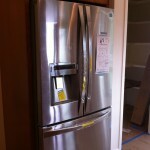 The Kenmore Elite 72053 Refrigerator Is Magnetic! 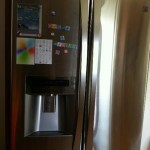 Lookee, lookee, the behemoth of a refrigerator aka the LG LFX31925ST/Sears Kenmore Elite Model 72053 has been caged. 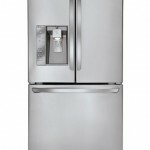 So despite its extra large internal capacity, the external dimensions really do fit the space of a standard refrigerator.